Each working person one day retire. 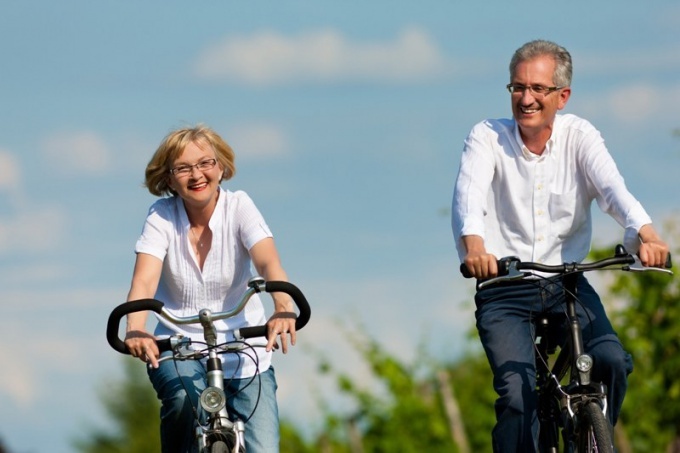 It is very important to know in advance what benefits you can expect when reaching retirement age. It is necessary to understand the structure of pension savings, in particular in the separation of the pension insurance part and accumulative. The insurance part of the pension got its name due to the fact that it is formed on an insurance basis. Insured event in this case is the fact that person to retire upon reaching a certain age. In Russia is 60 for men and 55 for women. The insurer is the state represented by the PFR – Pension Fund of Russia. The formation of the insurance part of the pension comes at the expense of funds earmarked to the Pension Fund by employers. These amounts are proportional to wages, so the employee is very important to get it "white" salary – in this case, the employer will pay more to the pension Fund that will provide a higher pension. The Pension Fund is transferred to the target of 22% of the amount that goes to the wages of the employee. It should be noted that the conditions for obtaining the insurance part of the pension change every year in the direction of tightening. If in 2015 to receive the insurance old-age pension will need to have General labour experience of 6 years, then by 2025 it will rise to 15 years. After 2025 the size of the required work experience will not increase. One of the distinguishing features of the insurance pension is the annual increase (indexation) of the government. The level cannot be below the level of inflation in the country. Unlike pension insurance, progressive is formed on other principles. Monthly contributions to the pension since 2014 is 2%. It is a small amount, so each working person can further transfer the money into your retirement savings plan, thereby increasing the size of future payments. Payments will be made after you reach retirement age, their size directly depends on the accumulated amount. When calculating monthly payments is considered an option, as the expected period of payment of pension, it is equal to 228 months. The whole accumulated sum is divided by 228, which determines the monthly payments. If the person retires after the deadline period, the expected payment of a pension accordingly reduced, and the size of payments increases proportionally. When the entire accumulated amount will be received by the pensioner, the payment of the cumulative part of the pension will be discontinued, leaving only the insurance pension. In addition, the storage part can get all at once – provided that its amount does not exceed 5% of the amount accumulated in the insurance part of pension. It is also possible to shorten the period of payments of pension, with a corresponding increase in monthly transaction amounts. The minimum period is 10 years. If the person did not live to see the end of the payment period remaining on his retirement account the amount can be received by his relatives. From January 1, 2002 paid by the state of the labour old-age pension may consist of such parts: basic, insurance and accumulative. People born before 1967, the pension consists of a base and insurance parts, and more young people are still funded. Despite the fact that lately people have a lot of information regarding pension savings, may not be clear what constitutes a basic part of the pension. The basic part of pensions of all components is the smallest. Its size in 2002 was 450 rubles a month, but since it is, of course, has grown significantly. The amount changes every year and depends on several factors. Its main function is providing the person with some basic social guarantees, hence the name. The amount of basic pensions are entitled to all persons who have reached retirement age and has a work experience of at least five years. Higher rates of basic pensions can be installed for the disabled, for people aged over eighty years. Basic United the minimum pension, compensatory allowances and additional payments. To grow and baseline, and the cumulative part of the pension should be assured a permanent increase in funds to the Pension Fund. The Russian government during the pension reform specifically for this purpose developed and laid in state system additional mechanism for savings that will help those wishing to independently configure the size of their future pension. Formally, the basic part is financed by contributions paid by the employer. In fact the payments are made at the expense of the Federal budget and not depend on what exactly is the value of the contributions. The state undertakes not only to provide the citizens of this minimum, but also to gradually bring its size to the level established for pensioners the subsistence minimum. Gradually, the basic pension is rising. Every year its amount is indexed by state, taking into account the growth rate of prices. The size is determined within the funds allocated for this purpose in the budget of the FIU, the Federal budget. Capital taken into account on individual account of the person to the FIU, is not real money. You can characterize it as a right to a certain amount of money. Contributions that are received in the individual pension account is currently only written for the franchisor, but the real money goes to the budget of the FIU, to pay the insured part of the pension of the current citizens-pensioners. In the future, the amount of such rights the person will be credited with real money. But their amount will be determined on the basis of what at that time there are possibilities of the state budget. It will be paid from the contributions of future generations. Depending on the demographic and economic situation, this amount may be greater or lesser.